SHIP THRU, PRODUCED IN FT. WAYNE ASSEMBLY AND SHIPPED TO READING TRUCK EQUIPMENT, PONTIAC MI. MSRP: $40,175.00Dealer Discounts: $5,275.00 Dealer Discount of $5,275.00 has been applied. 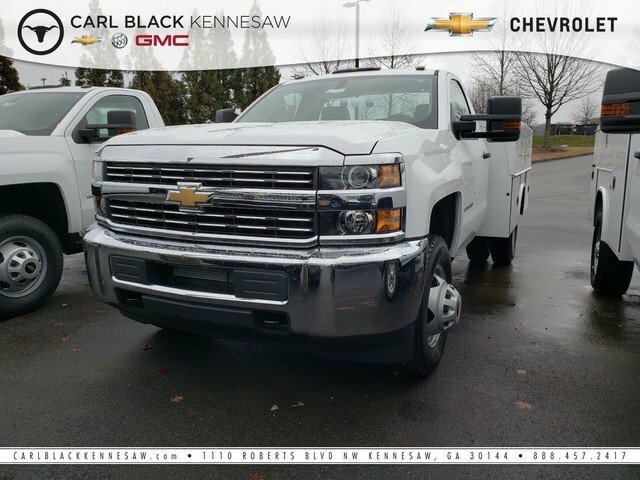 Price and special offer are subject to change Introducing the 2017 Silverado 3500 HD. With new exterior and interior designs, the Silverado 3500HD offers the proven power of Chevy's heavy-duty engines. 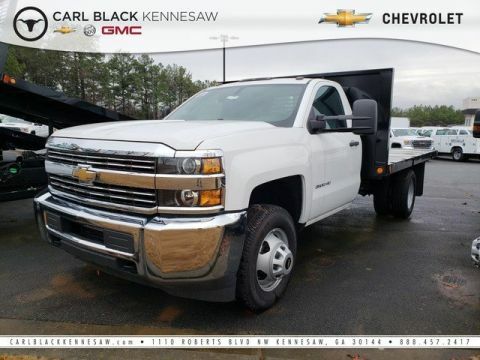 Of the engine options you have the available Duramax 6.6L Turbo-Diesel V8 with Allison transmission or the gasoline-powered Vortec 6.0L V8 which comes standard on Silverado HD. Its torque curve is broad and flat, with approximately 90 percent of peak torque available at only 2,000 rpm. The Silverado 3500HD is also available with a version of the Vortec engine that allows the use of Compressed Natural Gas. The Silverado 3500HD offers up to 14,600 lbs of towing capacity thanks in part to smart technologies like Trailer Sway Control and an available Trailer Brake Controller. 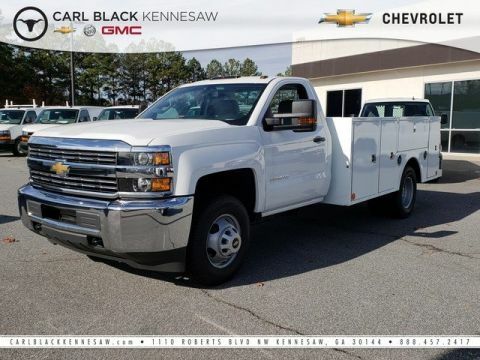 The 3500HD equipped with the available Duramax engine is capable of towing 23,200 lbs. With its all-new interior, Silverado HD makes life onboard easier, especially for a work truck. First, the cabin is quieter, thanks to triple door seals and aerodynamic enhancements to the exterior. An all-new instrument cluster features a six-gauge cluster and integrated center control display. From the contacts and music playlists you've got stored in your smartphone, to a selection of on-screen apps like Pandora, to the available MyLink with Navigation, the available 8-inch screen provides instant access to the information and entertainment you want. Managing cargo is now easier as well with a bed built from steel that's roll formed, not simply stamped. Silverado HD's new available load-bearing upper hooks are rated to help secure 250 pounds each. Silverado HD's available EZ-Lift and Lower Tailgate takes hardly any effort to raise and is designed to lower gradually when opening.